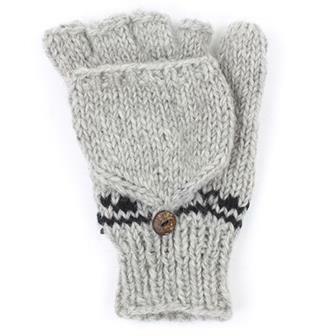 Keep those hands and feet warm with our fantastic Fair Trade selection of winter woollies. 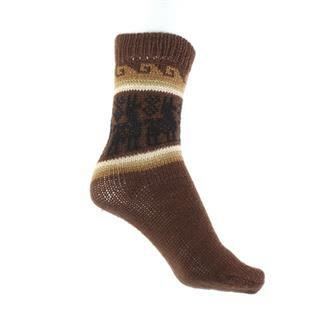 Try our great range of matching socks, gloves and finger mittens or our wonderfully soft Peruvian alpaca mix socks. Perfect for winter boots! Available in an assortment of different colours, these flap mitten style gloves are perfect for keeping your hands warm while still being able to use those dexterous digits! 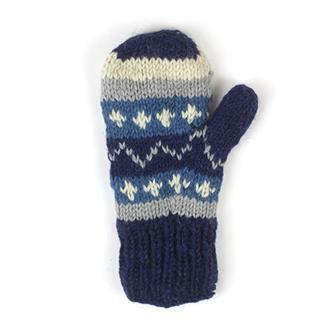 These super snug mittens are hand produced in Nepal. Each pair is lined for extra warmth and they come in mixed colours. 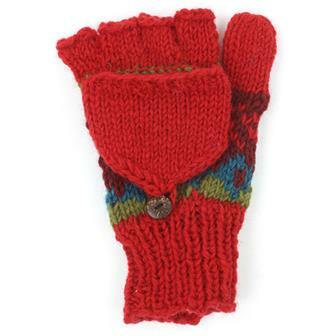 These tube gloves are hand-produced in Nepal in mixed colours and are ideal for keeping your hands warm whilst also keeping your fingers free. 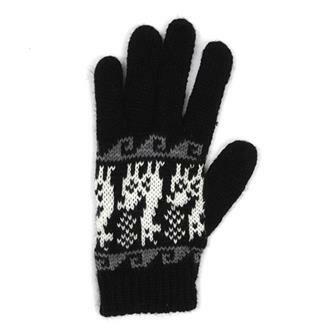 Full finger Peruvian Alpaca - acrylic mix gloves with knitted llama design, are extremely soft and warm perfect for chilly winter days. 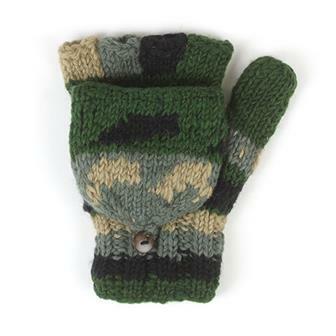 Part of our great range of knitted accessories, these warm woollen flap gloves can be worn as mittens for when you are out for a stroll or turned into fingerless gloves for when you need those dexterous digits! 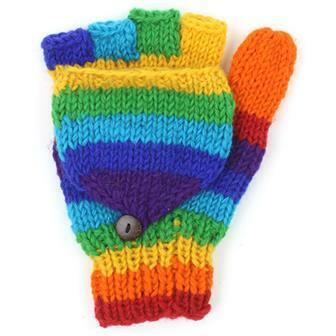 Ludicrously lush and ravishingly rainbow pure wool gloves, this is a classic product that we have stocked for many years. Colourful, bright and above all very warm. Ideal for snowball fights. 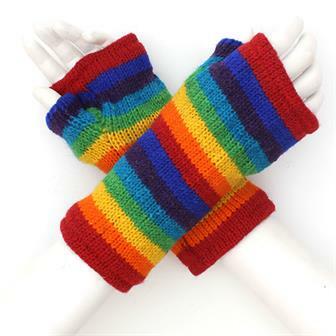 Ravishingly rainbow, these soft 'tube style' gloves are brilliantly warm and these wrist warmers are a particular favourite of those working in the chilly Siesta warehouse. 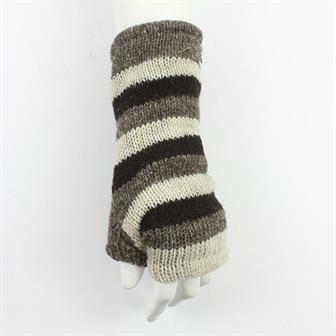 Made from chunky wool with a comfy fleece lining. 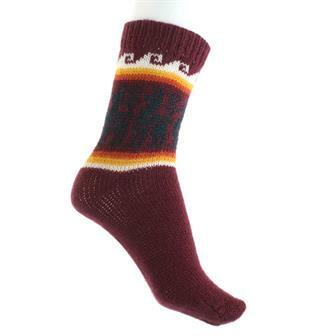 Warm and soft socks made in Peru featuring llama designs. These toasty garments are made from a mixture of alpaca wool and acrylic and are available in a selection of Brown and grey tones. 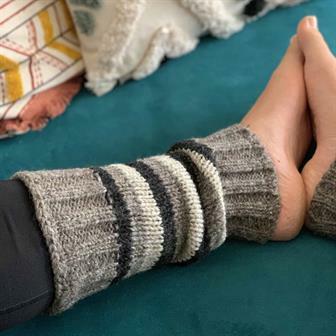 Warm and soft socks made in Peru featuring llama designs. These snug garments are made from a mixture of alpaca wool and acrylic and are available in a selection of mixed colours. 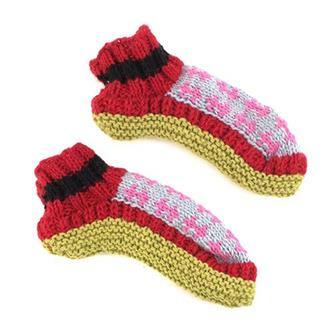 This ankle length slipper socks are ideal for keeping your tootsies toasty this winter. Hand-produced in Nepal in mixed colours. These amazing winter warmers are perfect for wearing around the house on those freezing cold evenings. Hand produced in Nepal, they come in mixed colours. 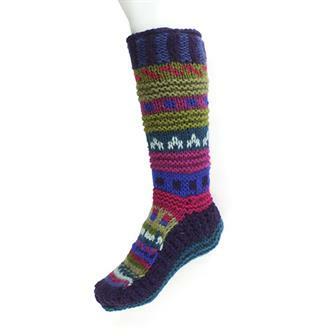 Be prepared for the coldest of winter days with these hand knitted leg warmers from Nepal. Available in assorted colours.